Our Council Room can accommodate up to 12 comfortably. Refreshments can be provided if necessary. 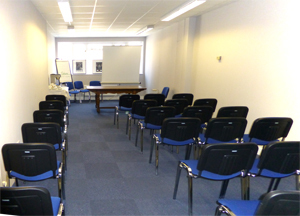 Our Seminar Room can accommodate up to 35 comfortably. 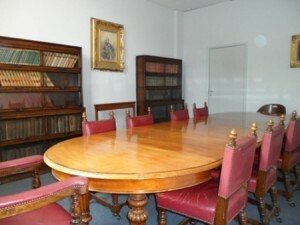 At a meeting of the Council held on 14 September 2010 it was agreed that the Law Library will no longer be stocked with new and updated publications. It has become non-viable to continue to provide this facility, the use of which has decreased considerably, several firms have cancelled their subscriptions and the cost of books rises each year way ahead of inflation. The Library will however remain open to Hull Law Society members, who should be aware that certain publications will not have been renewed or updated, and should consult the librarian if in any doubt.